Gozo College Sannat Primary and special unit. T he first Primary School at Sannat opened its doors in the year 1873. Primarily, it was a house located at 86-87 Seguna Street in the area known as the Upper Square. The first headmaster was Mr Peter Paul Zerafa. Till the year 1891, about 85 children attended this school. By 1905, the government had to rent a bigger house in Main Street to accommodate all pupils. However, on October 10, 1942 the school suffered considerable damage during the war. On March 13, 1964, the present school was officially opened by the then Minister of Education Dr Antonio Paris and blessed by His Lordship Mons Giuseppe Pace, Bishop of Gozo. Today, the school houses 170 pupils in the Primary Section, mainly from Sannat and Munxar, and 15 pupils at the Special Unit which is the only one of its kind in Gozo.. The staff consists of the Head of School, two Assistant Heads, fifteen teachers, nineteen LSA’s, three kindergarten assistants, three CSA’s, one nurse, one clerk and one minor staff. On the school’s premises one can find, a Therapy Gym, a Multisensory Room, a Relaxation Room, Literacy Room, a hall and two spacious playgrounds. The School Council is an important part of the school set-up. Meetings are held regularly and members are informed about school developments. It has a participatory role in a number of activities organised by the school. Most parents participate actively in the life of the school. Activities, such as Open days, Concerts, Field days and outings are organised purposely for parents and attendance is good. The school also has a Students’ Council and an EkoSkola Committee. Their contribution is of benefit to the school and it is appreciated. They give suggestions and participate in school activities. Approximately 15% of our student population have specific individual needs, including those of exclusion due to severe disabilities and/or learning difficulties. This percentage includes students of different ethnic groups. The Gozo College Sannat Primary and Special Unit School is participating in a Comenius Project together with other european schools. 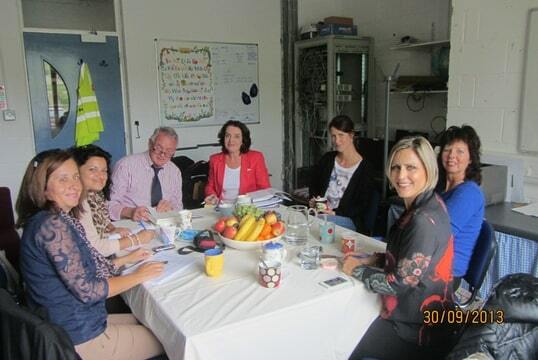 Ms Godwine Grima and Ms Maria Curmi have visited St. Cronan’s School in Bray (Ireland) between the 29th September and 5th October as part of this Comenius project. All the staff at St. Cronan gave us a warm welcome. 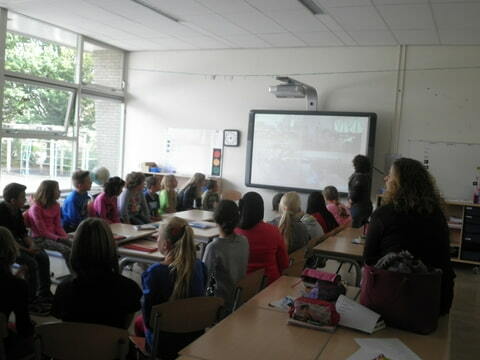 Together with the other partner schools, we have learned a lot about the different educational systems around Europe. Throughout our 5 day visit we discussed how we, as teachers could help our students to appreciate different cultures and traditions around the world. In addition it was also an opportunity for us to widen our educational knowledge, as we had the possibility to observed other teachers delivering their lessons in their classrooms. Therefore we were motivated to refresh our insights into different teaching techniques and how these can stimulate our pupils to learn more. Moreover it was an amazing opportunity for us to show how our small island in the Mediterrenean Sea is rich in history, culture and traditions. We highly recommend other teachers to participate in projects of such a kind. 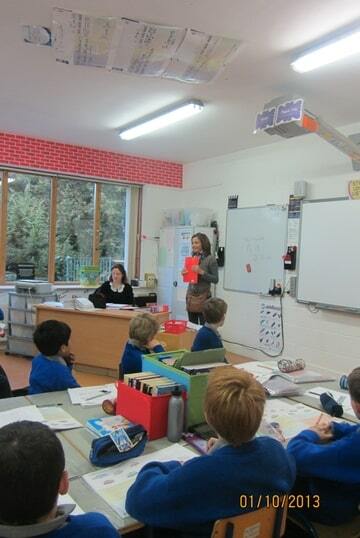 Visiting a foreign school is always a positive experience as it exposes us to new methodologies. The Het Palet School in Opheusden was no exception. Although it is a small school, it caters for a large number of pupils coming from various cultural backgrounds. The children get on well with each other and the school really offers a healthy learning environment. 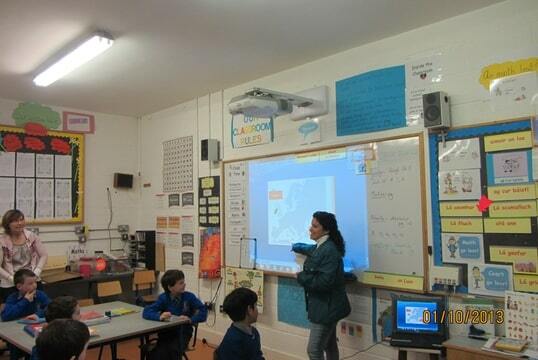 During our visits we had the opportunity to visit the classes and give some information to the children about Malta. On the other hand, on presentation day, we had the opportunity to learn more about the children’s cultural backgrounds and how they are being thought to accept each other. In this particular school, we were explained how from a tender age the children are taught to become good problem solvers. This is indeed a skill which the children learn to develop well in this school. We were surprised at how naturally the children dealt with problems that start in the playground. A group of children is trained to become mediators and thus, help their peers to solve their problems between them without fighting further. This process involves note taking by the mediators and having the children sit around a table and negotiate a solution that is valid and satisfactory for both parties involved. During break time, we could notice groups of children playing with many different outdoor sports equipment like balls, skipping ropes, stilts and a climbing frame. It was nice observing these kids at play and thanks to the mediator program that they have, there was little or no fighting at all. In a particular class we had the opportunity to see the children work on tablets. This was a first experience for us and it interested us very much as in our country, the government is planning to introduce tablets in all state schools. It was interesting observing how the children worked quietly on their tablets and how the teacher through her computer could instantly monitor the children’s work. We really enjoyed the time spent in this school also because both the staff and the head of school, Ms Diana are very friendly and welcoming. We really look forward to have them in our school. 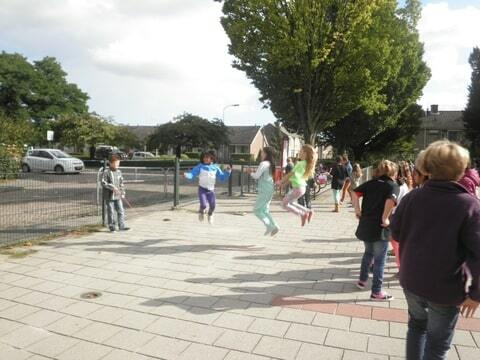 Last February our school ‘Gozo College Sannat Primary and Special Unit’, took part in the Comenius project dealing ‘Anti Xenophobia for children of Europe (primary) schools’ in an Austrian school situated in a touristic location of Plungeross. Teachers from Austria, Ireland and Holand together with the Gozitan participants met in a hosting school namely Volksschule. Together we shared experiences and practices and raised discussions regarding the aim of this project and to understand the different systems and strategies used in the European countries involved in this project. The hotel was in the village of Wenns from where we travelled by bus daily to Plangeross. Along the way it was like living in a dream from Christmas cards pictures. The snow all around was a beauty to see. Besides these scenes of Austria, we got the opportunity to have classroom visits and lesson observations. Together we experienced different practices and techniques used in teaching, giving the opportunity for success for each student. It was noted that Malta having English as a second language is an important asset, in a world where countries are getting nearer and where cultures are changing and getting closer to each other. This enhances linguistic diversity which help foster diverse learning environment where all students can succeed. Something that undoubtedly was not missed was the fact that children of different ages attended the same class. The director of the school Mr. Peter Schonger was in charge of this class. He explained to us effective teaching techniques which are adapted by him to reach and teach each student age appropriately. On Thursday we even got the opportunity to celebrate a mass with the school children. They sang as a choir and helped in the mass services. The students of Volksschule Plangeross were introduced to the island of Malta on Wednesday with a power point full of colourful pictures. They were also given a brief explanation about different places around Gozo and Malta. Also the Maltese Cross puzzle was done together with the students and it was exciting to see their eyes when they were exposed to some frequently used Maltese words and after repeating the word pronunciation, they were given the opportunity to guess the meaning of it. Something that will be treasured for a life time is the fact that each student one by one came to us (colleagues from Gozo-Malta) presenting us with a card to be passed to students from the Gozo College Sannat Primary School. For us (the participants from Gozo) was the same experience when it came to learning through the presentations presented to us and all the students by our colleagues from both Ireland and Holand. We even had the opportunity to mime a story with these students, based on the presentation in Opheusden where strangers arrived by bus in a village looking for a place to sleep. No one had room but an Austrian child remembered Christmas Nativity story and invited these strangers in his house to sleep and eat. Then everyone made the same and all of them were happy together. The different cultural backgrounds also play an important factor in the teaching techniques used. In the afternoon we went to the glacier to ski. It was an unforgettable experience. It was an unbelievable experience to see the buses we travelled in soon were full of people of all ages from three year olds to sixty or more, wearing their skiing equipment including the skiing shoes and skis in their hand while in Malta in Summer all one can see are buses full of people wearing swimwear and going to the beach. We visited very interesting places in Austria such as the Hofburg Palace which was an impressive palace to have the opportunity to visit, the Tyrolean Museum where we got lots of information on Austrian’s history and the Golden Roof in Innsbruck. Besides these impressive panoramic views we also visited Swarovski Museum which was a marvellous experience of art beauty all along. In Wenns we went to a Christmas Crib exhibition. This was also interesting. The fact that some of the cribs on show were with snow surrounding it were very special to see. It was a memorable experience where all concerned learnt a lot from each other experiences and which in the end made us all feel as one team aiming our concerns on the same issues.